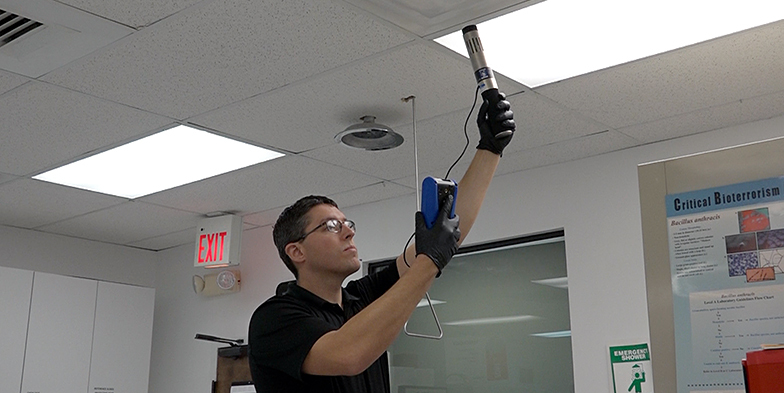 Pure Air Control Services Inc. is pleased to announce this prestigious certification for our Building Sciences’ industrial hygienist Karl Stefan. Karl Stefan’s experience and knowledge of the indoor environment is now documented through one of the most respected certifications in the field of indoor environmental consulting, the Council-certified Indoor Environmental Consultant (CIEC) certification. The American Council for Accredited Certification (ACAC) offers the CIEC to individuals with expertise in the fundamental principles of indoor air quality. Applicants must demonstrate field experience in several areas of IEQ that includes investigations, consulting and project management and/or report writing. Applicants must possess a combination of eight (8) years education and field experience, as well as pass a rigorous examination based on a variety of industry subjects, from current standards and building codes to HVAC system design and maintenance. The CIEC designation is accredited by the Council of Engineering and Scientific Specialty Boards (CESB) and the National Commission for Certifying Agencies (NCCA), both nationally recognized third-party accreditation bodies. To maintain his Certified Indoor Environmental Consultant designation, Karl must maintain active field experience and document 30 hours of recertification credits. Karl is now included in the list of CIECs on the council’s website. His skills and knowledge can be relied upon by individuals in need of consulting for assessment of new or existing indoor environments. Mr. Stefan graduated from Penn State University in 2010 with a bachelor’s degree in Wildlife and Fisheries Science. He followed that with a Master of Environmental Science in 2013 from Drexel University. 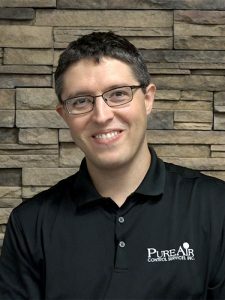 Prior to joining Pure Air Control Services in 2017, Karl worked as an Industrial Hygienist and Project Manager for Edifice Rx in Lafayette Hill, Pennsylvania. For more information on how Building Sciences’ CIEC accredited staff can help improve your facility health, occupant comfort and energy efficiency please call 1-800-422-7873 or contact us via this website.